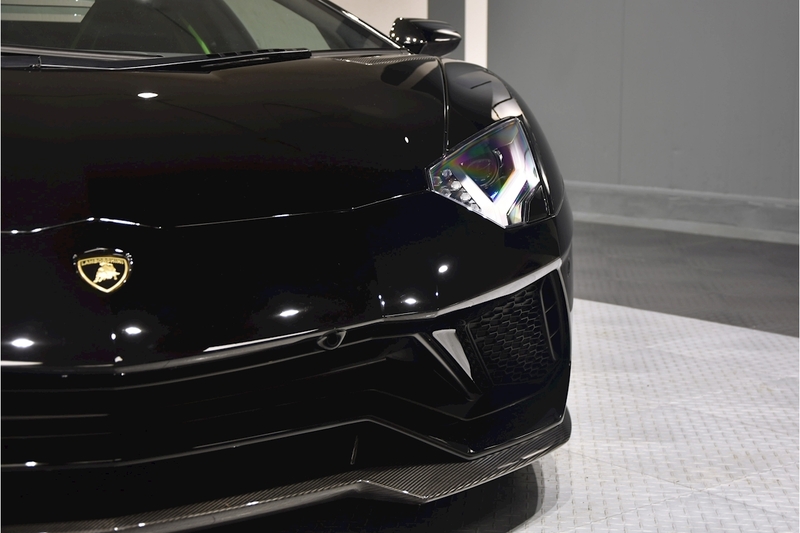 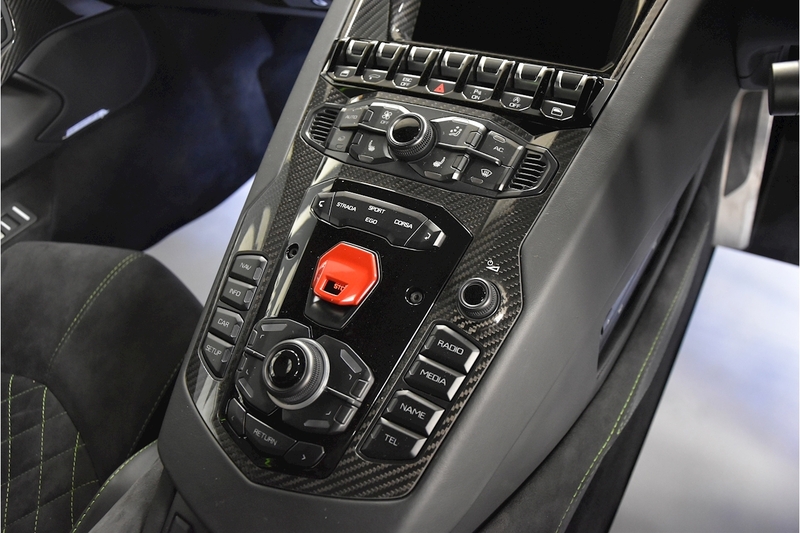 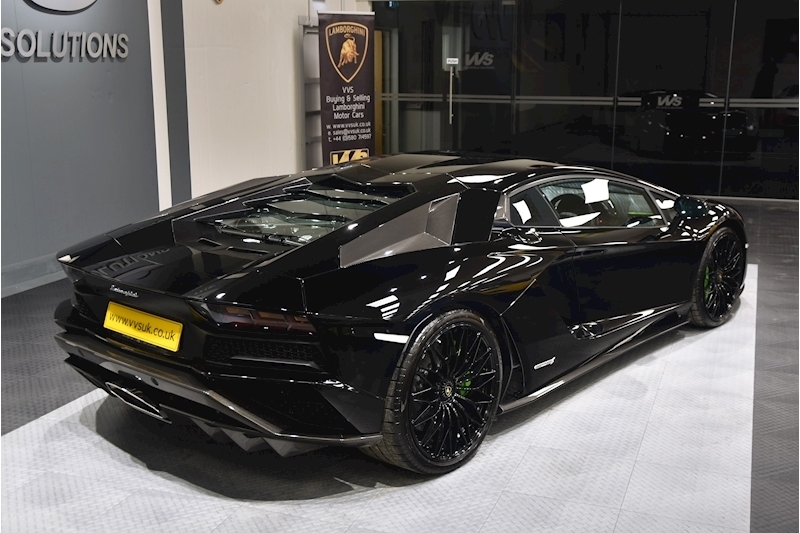 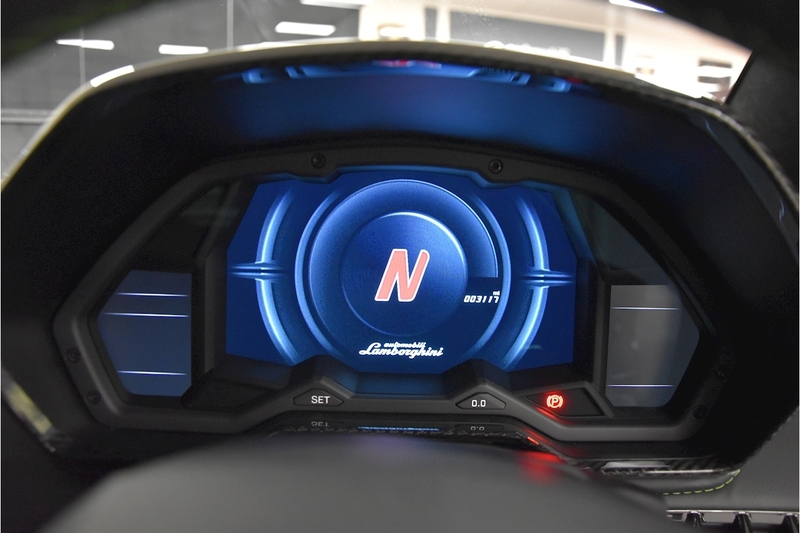 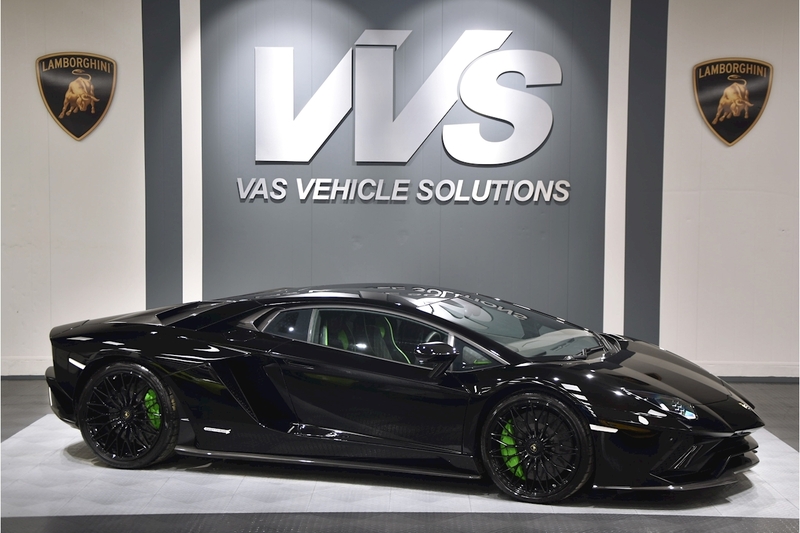 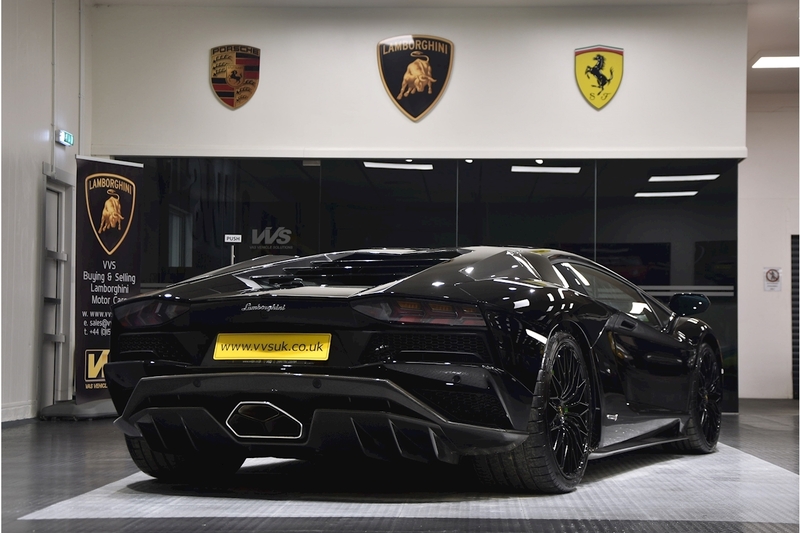 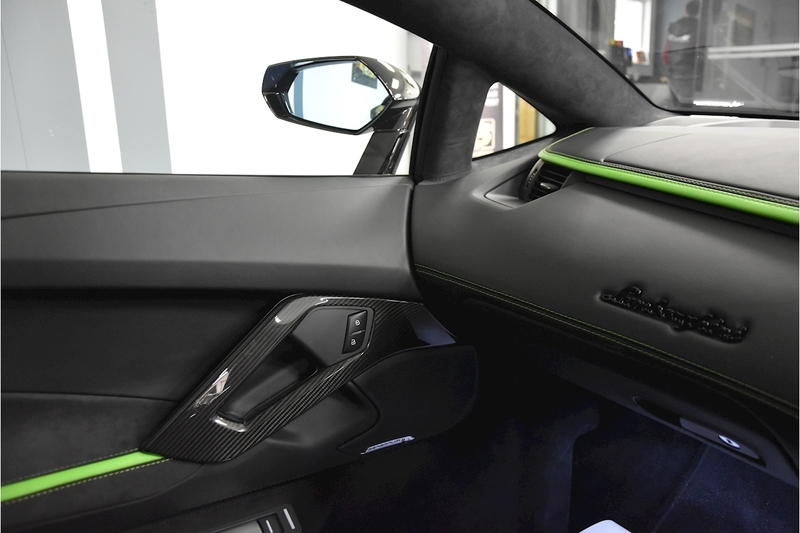 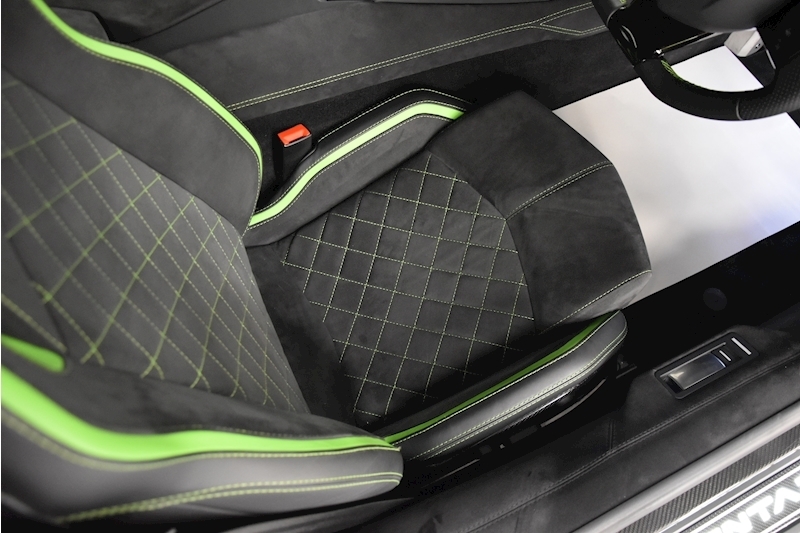 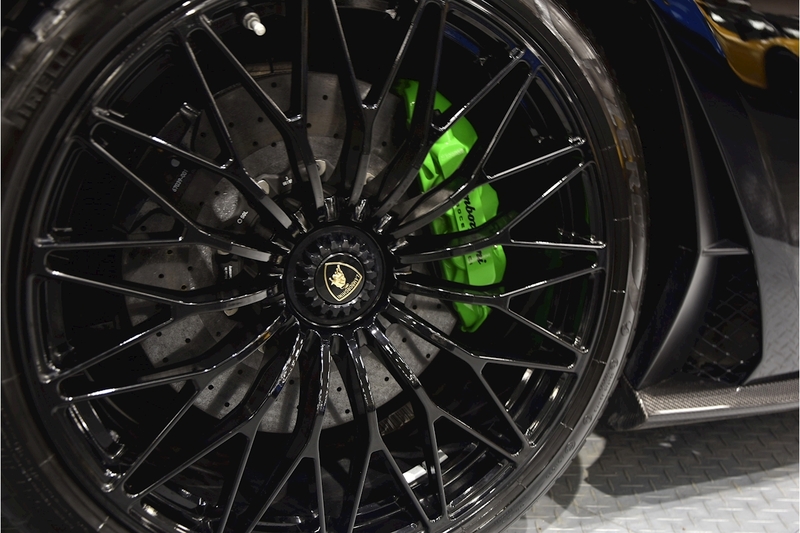 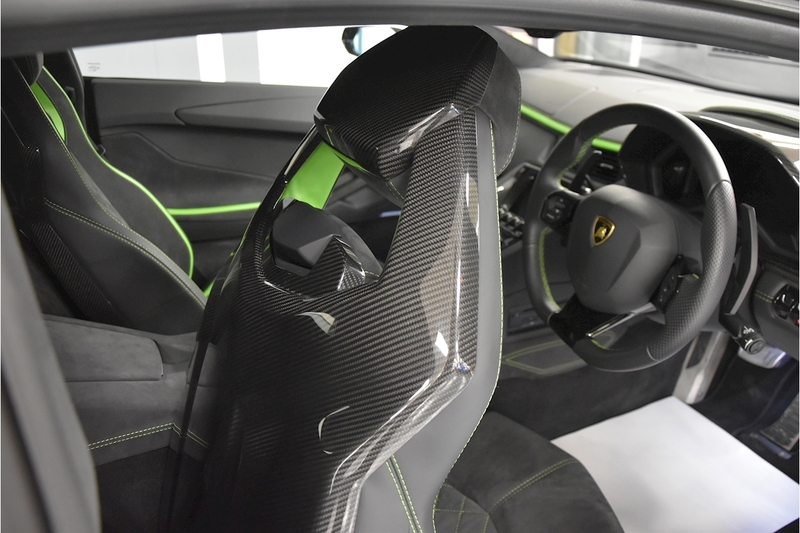 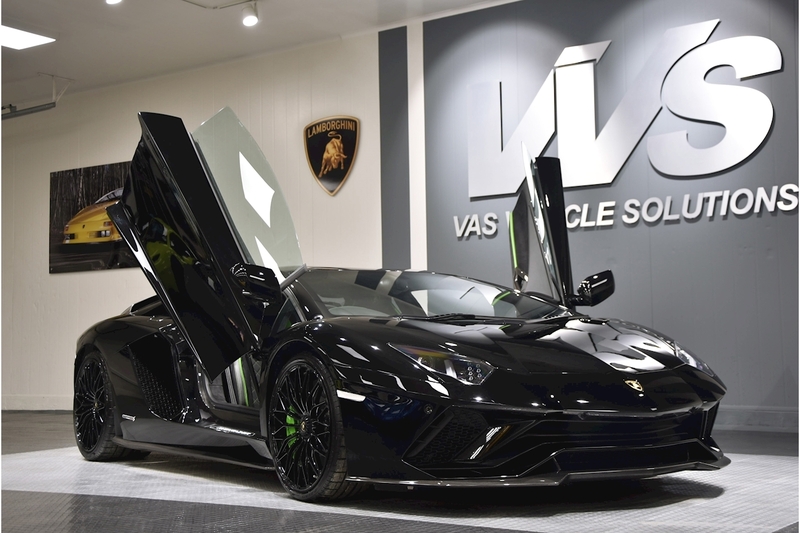 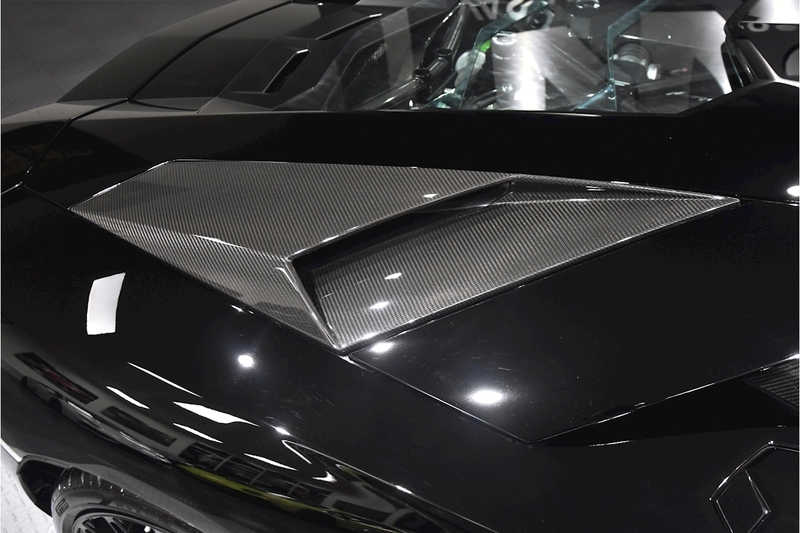 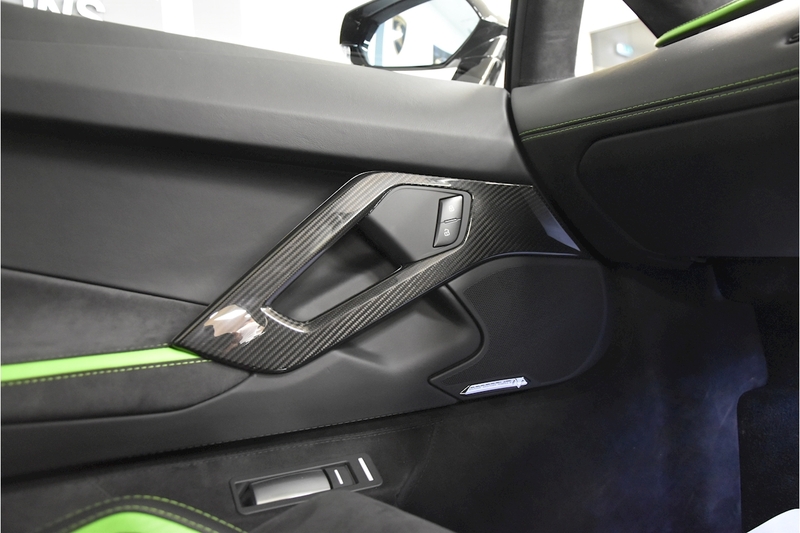 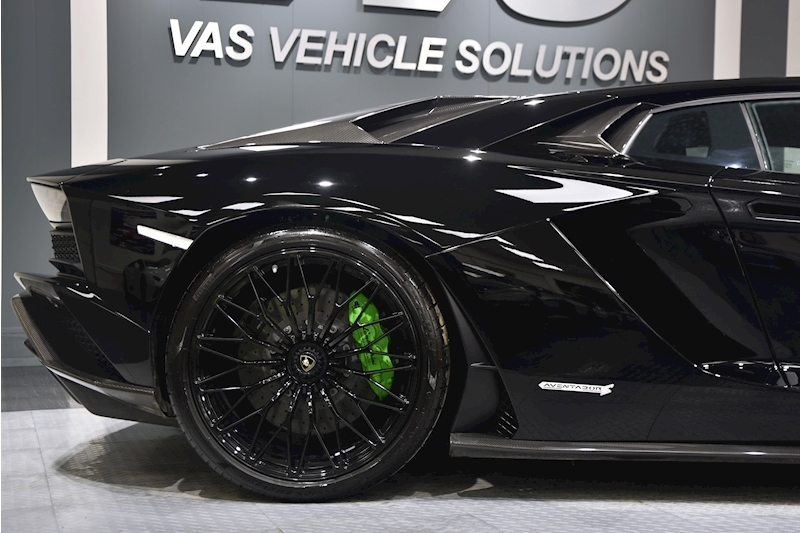 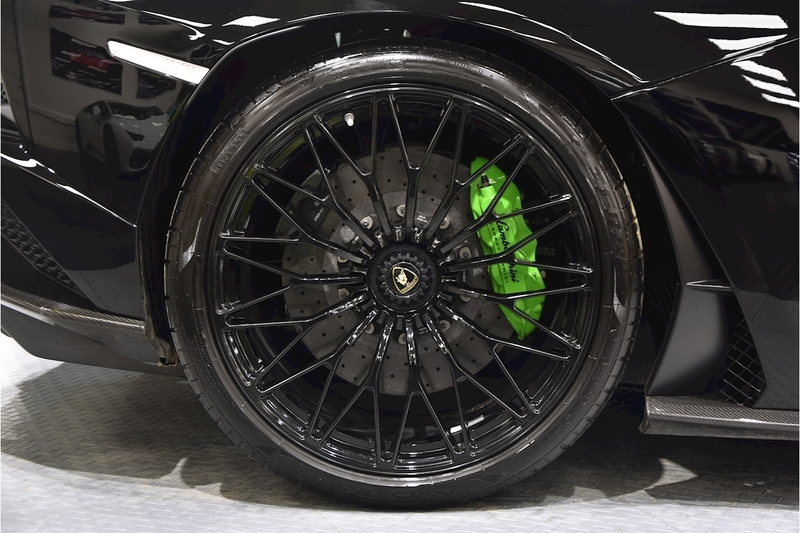 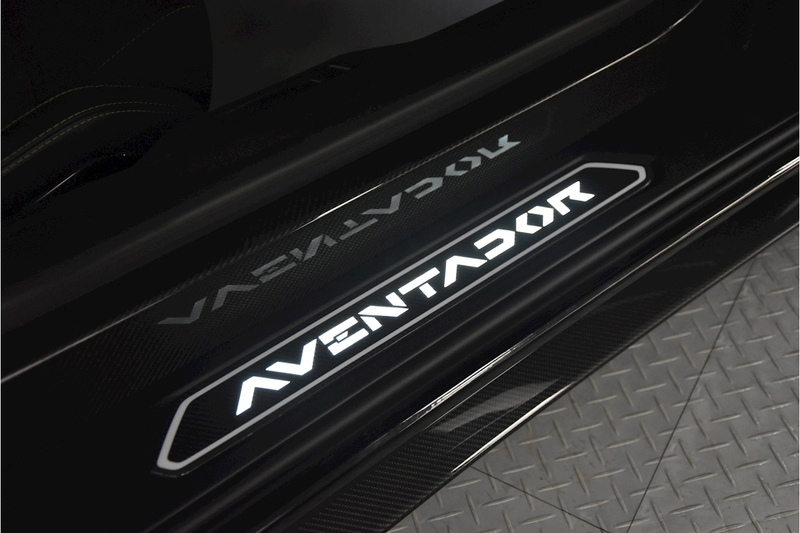 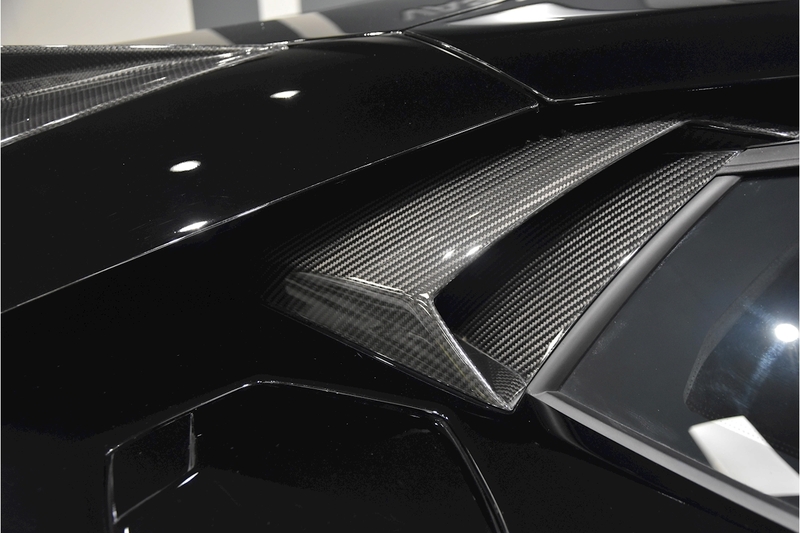 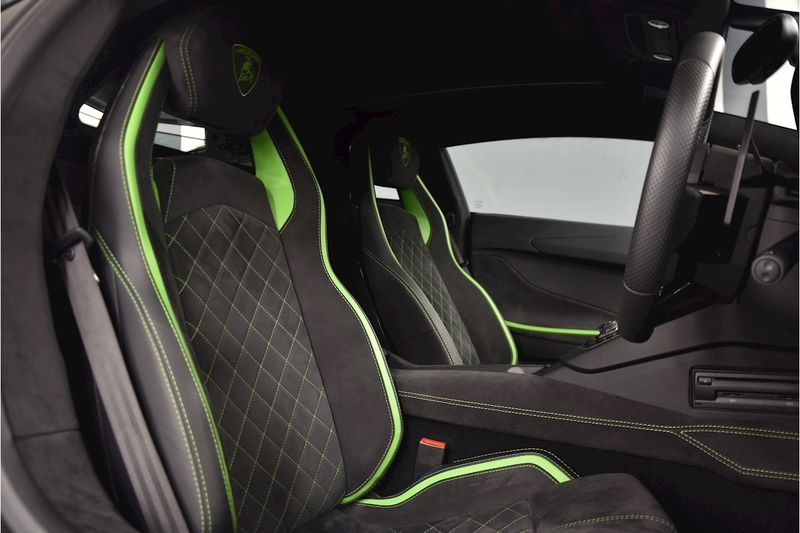 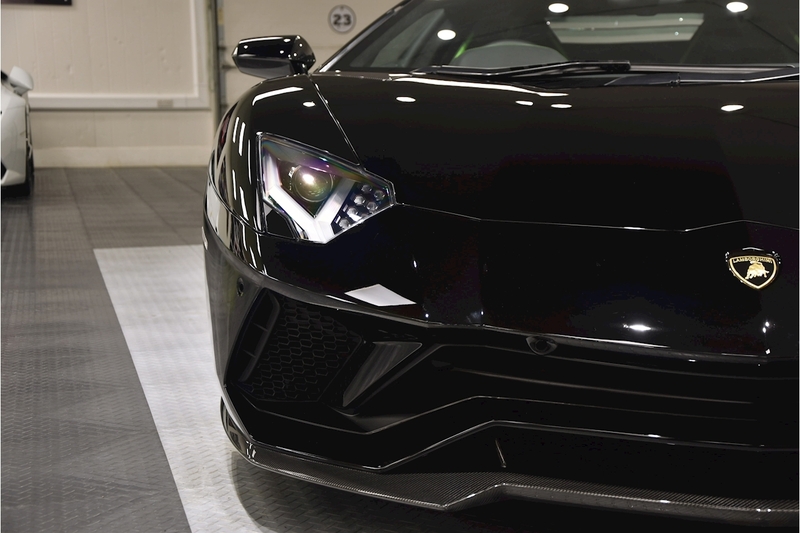 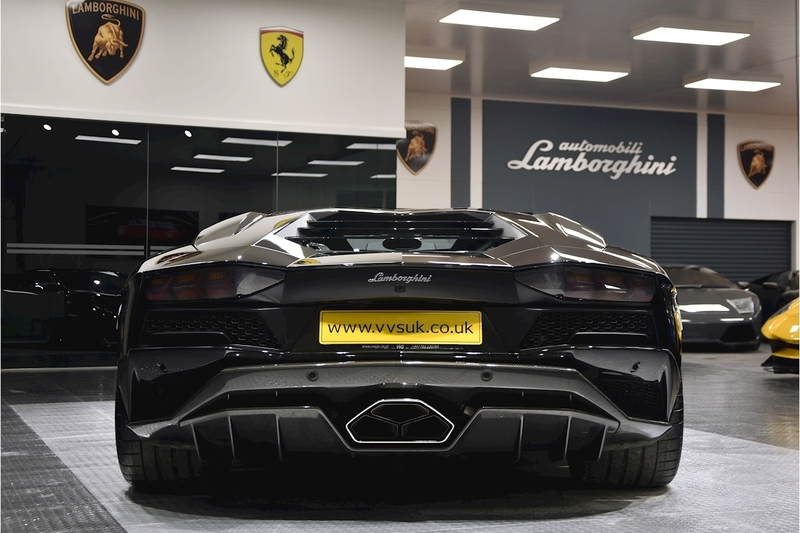 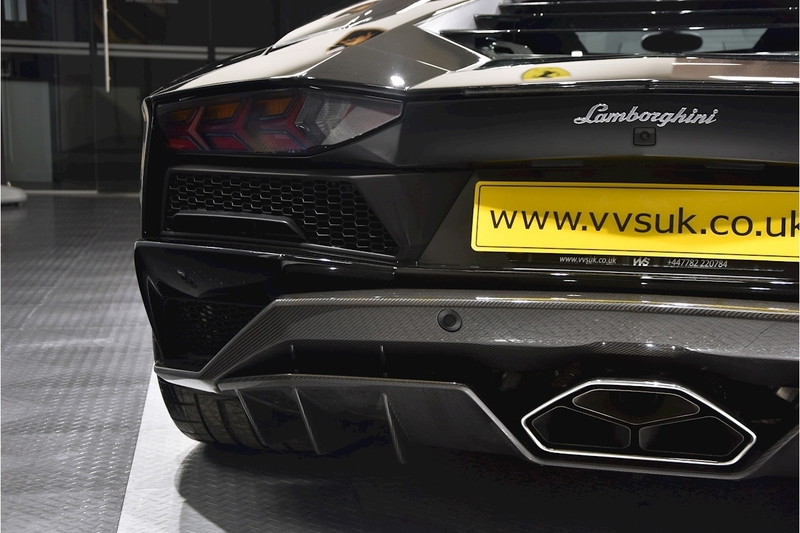 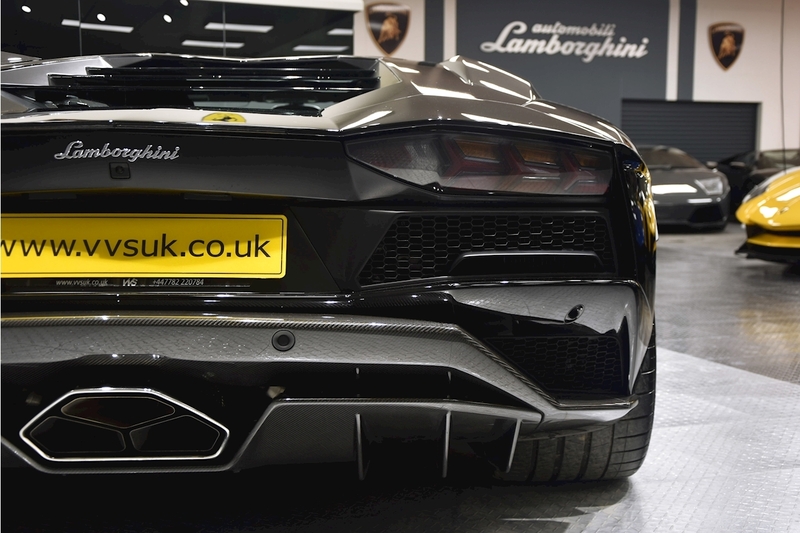 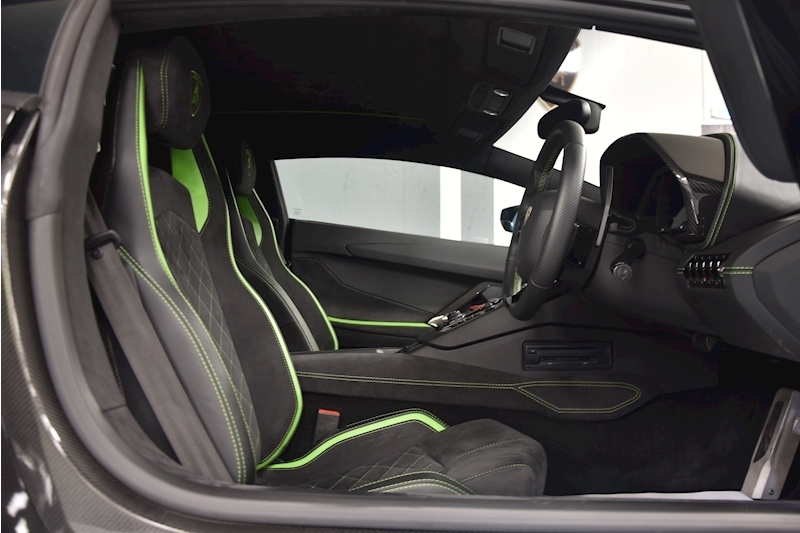 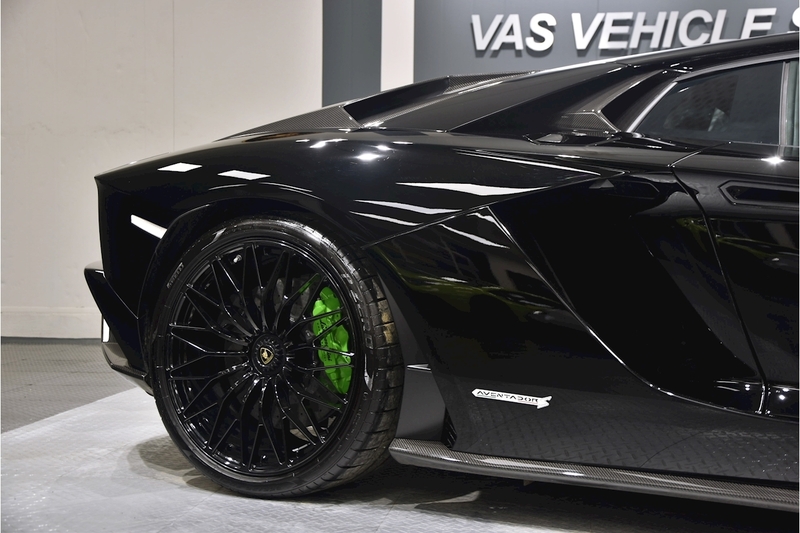 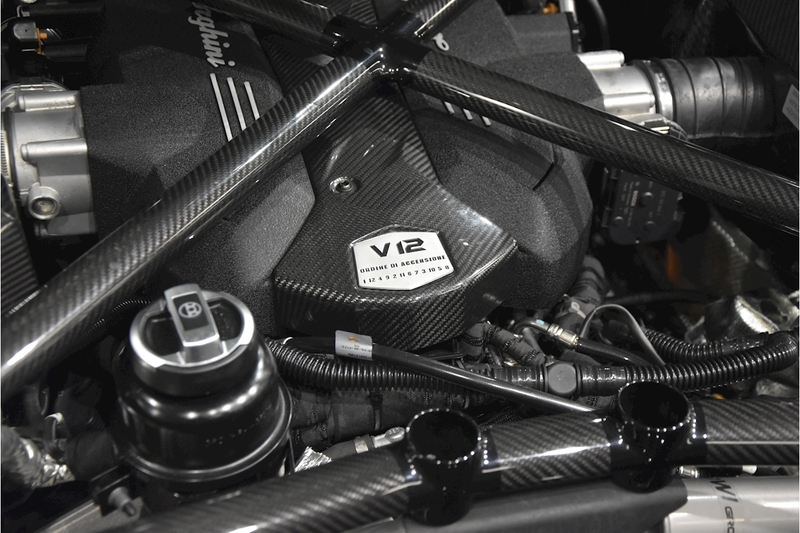 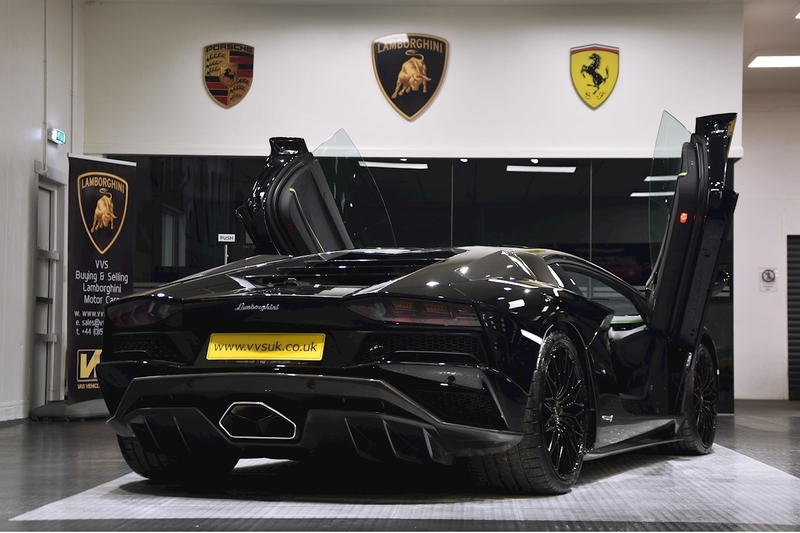 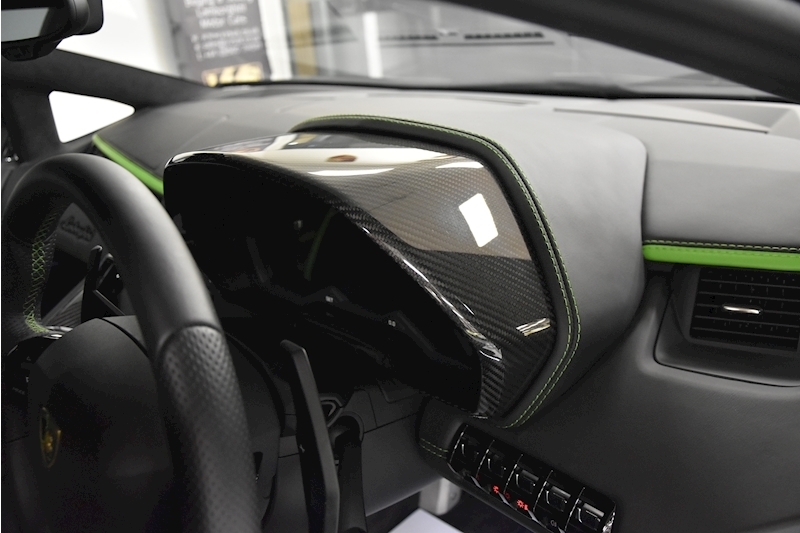 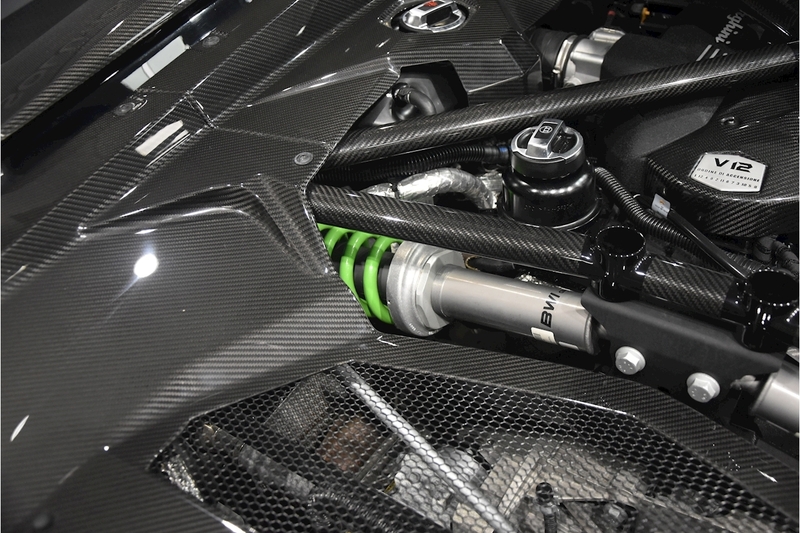 VVS are delighted this 2018 Lamborghini Aventador S LP740-4 Coupe covered just 2000 miles presented in Nero Aldebaran with Nero Ade Alcantara interior with contrasing Verde stitching. 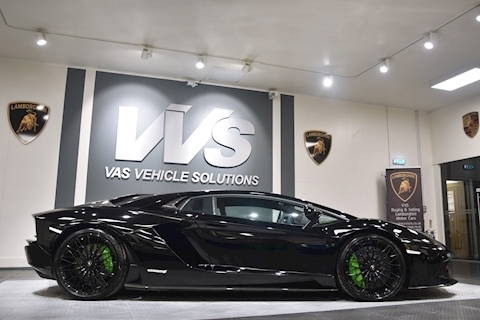 This is a huge specification car including carbon interior package, sensonum sound system, sportivo interior, full electric heated seats, full carbon exterior package, gloss black dianthus alloy wheels, clear engine cover, t-engine cover in carbon fibre, visibility and light package, ceramic brakes, multi-function steering wheel, full body xpel ppf paint protection and complete with the 5th year extended warranty. With a huge saving on the original list price (over £360k) this is the highest spec Aventador S we have seen.